Keeping your home’s exterior finish clean & well maintained is an essential part of owning property. Over time, the materials used to create your exterior finish will begin to degrade in quality & appearance. By regularly cleaning your sidewalks, driveways, home exterior, patios, etc. you can significantly decrease the onset of material deterioration. removing dirt while minimizing the impact that traditional harsh chemicals have on your materials. All our services are fully insured to protect your property under all circumstances. 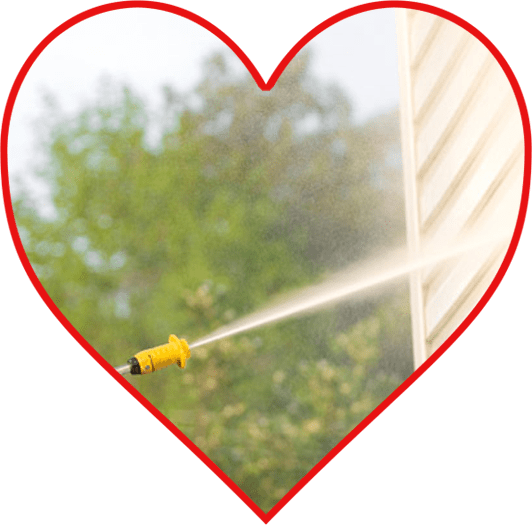 Our residential power washing services are affordably priced to ensure that you get the help you need without breaking the bank. Regularly power washing the exterior of your residential property is a great way to maintain a clean & uniformed look. The side of your home can be a playground for dirt, bacteria, harmful insects, & other potential threats. With our help, your home will be protected from potential structural damage & other forms of material decline. We offer free consultations to anyone who is interested in our services, simply gives us a call & one of our customer support representatives will be able to assist you. We offer residential power washing services to all property owners located in & around the Victoria, TX area. We are a company who truly cares about your needs, that’s why we perform thorough property inspections before the initiation of our projects. Make sure that your property is an accurate representation of who you are as an individual by tailoring your landscape. 7580 Power Washing has the knowledge, tools, & integrity to get the job done right. Contact us today & speak with one of our customer support agents who will be able to assist you!